Jessica Donington, MD, MS, a thoracic surgeon and professor at the University of Chicago, has been selected as the 2018 American Society for Radiation Oncology (ASTRO) Honorary Member. Dr. Donington will receive the highest honor ASTRO awards to distinguished cancer researchers and leaders in disciplines outside of radiation oncology, radiobiology or radiation physics, at an awards ceremony on October 23 during ASTRO’s 60th Annual Meeting in San Antonio. Dr. Donington has long supported collaborations between thoracic surgeons and radiation oncologists to provide lung cancer patients with the best care. As one of two surgeons on the guideline committee, she was a key contributor to the recent ASTRO clinical practice statement on stereotactic body radiation therapy (SBRT) for early stage non-small cell lung cancer. Dr. Donington recently became chief of general thoracic surgery and professor at the University of Chicago. From 2007 until 2018, she was an attending surgeon at New York University Langone Medical Center and associate professor at the NYU School of Medicine. 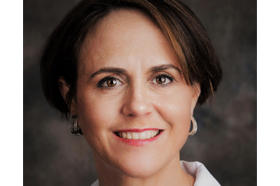 Before joining NYU, Dr. Donington was on the faculty at Stanford University, where she collaborated on one of the earliest studies in the United States evaluating single-fraction SBRT in a phase I trial. A nationally recognized expert in lung cancer, Dr. Donington has been a member of the NRG/RTOG Thoracic Malignancy committee for many years, serving since 2015 as the thoracic surgery co-chair for NRG/RTOG 0839. She has led or co-authored more than 90 papers and has been appointed to the editorial boards of several thoracic oncology journals and scientific advisory boards of multiple lung cancer foundations. Dr. Donington is the co-chair of the 2019 Multidisciplinary Thoracic Cancers Symposium co-sponsored by ASTRO, the American Society of Clinical Oncology and the Society of Thoracic Surgeons, and was as a member of the steering committee for the 2017 symposium. “As radiation oncologists and thoracic surgeons continue to identify the importance of working more closely together, thoracic surgeons like Dr. Donington serve a critical role to bridge our specialties,” said Dr. Moghanaki. ASTRO’s 60th Annual Meeting, the world’s largest scientific meeting in radiation oncology, will be held October 21-24, 2018 at the Henry B. Gonzalez Convention Center in San Antonio. The meeting is expected to attract more than 11,000 attendees from across the globe, including oncologists from all disciplines and members of the entire radiation oncology team. ASTRO awards honorary membership to thoracic surgeon Dr. Jessica Donington . Appl Rad Oncol.